Bowlby argued: "In our enthusiasm for achieving long-sought social aims, we should not overlook the private concerns of the masses, their predilections in sport or entertainments, their desire to have a home or garden of their own in which they can do what they like and which they do not frequently have to move, their preference in seaside resorts or Sunday newspapers." Given the undeniable fact of these "private goals", each of which had not only "the attraction of being immediately and simply achieved" but also "the sanction of tradition behind them". My father grew to love Minnie, and Minnie once told my father's sister, Evelyn, that John was her favourite. My father must have become attached to Minnie, and I have little doubt that Minnie was his surrogate primary attachment figure in preference to his own mother, but when he was four years old, Minnie left the family. He lost his "mother figure" and his primary attachment bond was broken. All our previous experience points inescapably to the conclusion that neither moral exhortation nor fear of punishment will succeed in controlling the use of this weapon. Persons bent on suicide and nations bent on war, even suicidal war, are deterred by neither. The hope for the future lies in a far more profound understanding of the nature of the emotional forces involved and the development of scientific social techniques for modifying them. Man and woman power devoted to the production of material goods counts a plus in all our economic indices. Man and woman power devoted to the production of happy, healthy, and self-reliant children in their own homes does not count at all. We have created a topsy turvy world.... The society we live in is ... in evolutionary terms ... a very peculiar one. There is a great danger that we shall adopt mistaken norms. For, just as a society in which there is a chronic insufficiency of food may take a deplorably inadequate level of nutrition as its norm, so may a society in which parents of young children are left on their own with a chronic insufficiency of help take this state of affairs as its norm. One of the most influential forces in child psychiatry and psychology, Dr. Bowlby challenged basic tenets of psychoanalysis and pioneered methods of investigating the emotional life of children. His central focus was on what has come to be called ''attachment theory'' and the emotional impact on the child when the maternal bond is disrupted. In arguing the case for the crucial nature of a warm, intimate and continuous relationship between mother and infant, Dr. Bowlby prompted public policy that a ''bad'' home is better for a child than a ''good'' institution. His work also inadvertently bred guilt in many working mothers, who misconstrued his message. Dr. Bowlby felt a mother's absence during the day was not a problem if there was satisfactory care in her absence. In his major work, a three-volume exploration of the bond between the mother and child, Dr. Bowlby argued that the origins of many emotional problems in later life were a result of children's being separated as toddlers from their mothers, with no adequate substitute. The problems such separation could lead to, he said, included depression, ''anxious attachment'' or clinginess in relationships, chronic delinquency, and pathological mourning. Edward John Mostyn Bowlby was born Feb. 26, 1907, the son of a surgeon. He grew up in a time when many children lived with a succession of nannies, often seeing their own parents only at tea time, until they reached the age when they were sent away to boarding school. Dr. Bowlby attended Dartmouth Royal Naval College and Trinity College, Cambridge, where he majored in natural sciences and psychology. His medical training was at University College Medical School in London. During World War II, he served in the British army as a psychiatrist. For most of his career, from 1946 on, Dr. Bowlby was on the staff at the Tavistock Clinic and the Tavistock Institute of Human Relations. He was director of the department of child psychiatry there until 1968, and he remained as a senior research fellow and teacher after retiring in 1972. While in medical school, at the age of 22, he went into psychoanalysis with Joan Riviere, a colleague of the noted psychoanalyst Melanie Klein, who later became his supervisor for a year. 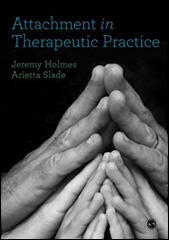 His first work in psychiatry, at the Maudsley Hospital in London, was with adults. But in the 1930's he began to focus on children, and he turned to the theme that was to dominate his life's work, the lasting emotional legacy of childhood separations and losses. In 1950, Dr. Bowlby became a consultant to the World Health Organization, studying children who had been orphaned, institutionalized or otherwise separated from their parents. The resulting 1951 book, ''Maternal Child Care and Child Health,'' condemned the prevailing practice of hospitals and other children's institutions in depriving children there of contact with a consistent figure who could serve as a mother substitute. The failure to provide a mothering figure, he said, would leave the chlidren unable to love. A popular version of research he did for the World Health Organization, the book, published in 1953 as ''Child Care and the Growth of Love,'' became a best seller. But Dr. Bowlby's most influential work was the the trilogy ''Attachment and Loss.'' The first volume, ''Attachment,'' was published in 1969; the second, ''Separation,'' was published in 1973, and the third, ''Loss,'' in 1980. A re-thinking of psychoanalytic theory, ''Attachment and Loss'' saw the bond between mother and child as instinctive, like the urge to mate in adulthood. And Dr. Bowlby saw emotional problems in later life as arising from actual childhood events, like being deprived of mothering, rather than from unconscious fantasies. In another radical break with the prevailing psychoanalytic methods and theories of his day, Dr. Bowlby turned to the study of animal behavior and to theories about how information flows between people in formulating his ideas about the mother-infant bond. Instead of relying on adult memories to reconstruct the major events of childhood, Dr. Bowlby's studies made direct observations of mothers and children. His first volume was attacked by many leading psychoanalysts at the time, including the analyst Anna Freud, who charged him with oversimplifying and misinterpreting Freudian theory. But in recent years data supporting Dr. Bowlby's theories, and changing theories in psychoanalysis, have brought increasing importance to his work. Productive to the end, Dr. Bowlby published ''A Secure Base,'' in 1988, published in the United States by Basic Books,) in which he explored the specifics of giving children a steady, loving home environment, and such issues as what constitutes adequate child care. ''Charles Darwin: A New Biography,'' published this year in Britain, argues that Darwin's repeated illnesses resulted from losses in childhood. Dr. Bowlby, who was buried on the Isle of Skye, is survived by two sons, Robert and Richard, who live in London, and two daughters, Pia Duran of London, and Mary Gatling, who lives in Salisbury Wiltshire, and seven grandchildren. John Bowlby was the second son of Major General Sir Anthony Bowlby, 1st Baronet, who was surgeon to King Edward VII s household, honorary surgeon-in-ordinary to King George V, and president of the Royal College of Surgeons from 1920-23. His mother, Maria Bridget née Mostyn, was the daughter of a Church of England clergyman. His early education was at Abberley Hall preparatory school and, as he was destined for a naval career, the Royal Naval College, Dartmouth. But he changed his mind, decided to study medicine and went up to Trinity College, Cambridge, and University College Hospital, London. On qualification in medicine he specialized in psychiatry, child psychiatry and psychoanalysis. From 1933-35 he was a clinical assistant at the Maudsley Hospital. In 1936 he joined the staff of the London Child Guidance Clinic where he stayed until 1940. During the second world war he served as a consultant psychiatrist in the RAMC, attaining the rank of lieutenant colonel. In 1946 he joined the staff of the Tavistock Clinic and remained there until his retirement in 1972. He was chairman of the department of children and parents at the Tavistock Clinic from 1946-68, and president of the International Association of Child Psychiatrists and Allied Professions from 1962-66. From 1963-72 he was a member of the external scientific staff of the Medical Research Council, and from 1950 onwards was consultant in mental health to the World Health Organization. He carried out research at the National Institute of Mental Health, Bethesda, USA, from 1958-63 and was visiting professor of psychiatry at Stanford University, California, in 1968. In 1946 he published a study of delinquent children who had been referred to the London Child Guidance Clinic, Forty-four juvenile thieves: their characters and home life, London, Bailière, Tindall & Cox. But the work which really established his reputation began with an invitation from the World Health Organisation in 1950, to advise on the mental health of homeless children. This led to the publication in 1951 of Maternal care and mental health, based on his WHO report, which was later abridged and edited by Margery Fry as Child care and the growth of love; London, Baltimore USA, Penguin Books, 1953. He then published Attachment, New York, Basic Books, cl969, which was the first volume of his massive trilogy Attachment, Separation and Loss the second volume being Separation: anxiety and anger, 1973. The trilogy was completed in 1980 by the publication of Loss: sadness and depression. Briefer, more popular expositions of Bowlby’s views appeared in The making and breaking of affectional bonds, London, Tavistock Publications, 1979, followed by A secure base, in 1988. 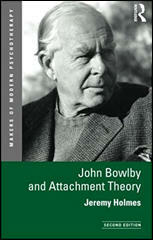 Bowlby was the originator of what is now known as ‘attachment theory’. Having established that separation from the mother or mother-substitute in early childhood often had dire results, Bowlby set about investigating the way in which human beings establish ties of attachment with one another and what consequences follow when these ties are severed. Unlike most psychoanalysts, Bowlby was acutely aware of the necessity of evidence to support his theories. His conclusions were always backed up by objective research and extensive references. His interest led him to study ethnology and he became acquainted with and indebted to Konrad Lorenz, Niko Tinbergen and Robert Hinde. His studies of attachment in other species led him to conclude that the biological roots of attachment originated in the need to protect the young from predators. His interest in biological theory and in the effects of bereavement led to his last book, a biography of Darwin; Charles Darwin: a biography, London, Hutchinson, 1990, which related the scientist’s chronic ill health and recurrent anxiety and depression to the early death of his mother. This book was published only a few weeks before Bowlby’s death. His studies of attachment had two main consequences. First, his theories prompted a large body of research, ranging from studies of attachment between infants and their mothers to the effects of bereavement and the severance of social ties in adult life. Second, his demonstration that in the case of small children even brief periods of separation from their mothers can have serious emotional consequences led to important changes in hospital practice. It is now taken for granted that parents should be allowed free access to their sick children in hospital and vice versa, but before Bowlby’s work this was by no means common practice. Bowlby reinforced his case that such separations were traumatic by making a series of films with James Robertson, of which the most famous is A two-year old goes to hospital. No one who saw the misery experienced by the child in this film could remain unmoved. Bowlby’s work has saved hundreds of small children from unnecessary emotional distress. 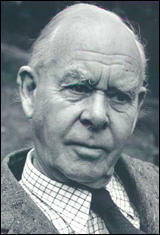 John Bowlby received his training as a psychoanalyst from Joan Rivière, and was supervised by Melanie Klein. It is a tribute to his independence to point out that neither of these two formidable ladies appears to have had the slightest effect on his subsequent development. Whereas the majority of psychoanalysts, especially those belonging to the Kleinian persuasion, emphasize the importance of the patient’s inner world or fantasy as providing the origin of neurotic symptoms, Bowlby remained firmly convinced that traumatic events in real life were more significant; not only separation and loss but also parental threats of abandonment and other cruelties. At one time psychoanalysis was under such heavy attack from biologically minded psychiatrists that it was in danger of total oblivion. Bowlby, by continuing to call himself a psychoanalyst, and by conscientiously supporting his conclusions with objective research, demonstrated that at least some aspects of psychoanalytic theory could attain scientific respectability. This admirable and unusually detached stance, however, may have caused his achievements to have been underestimated during his lifetime. Biologically minded psychiatrists tend to be suspicious of anyone calling himself a psychoanalyst, while the psychoanalytic establishment regarded Bowlby as something of a renegade. His independence of mind made him unclassifiable and this has delayed the final recognition of his proper status. As a psychiatrist, Bowlby was a warm, caring human being with an unusual capacity for attentive listening. In spite of his eminence he was not in the least self-important. He always remained entirely approachable and ready to learn from others. He was an excellent teacher and greatly in demand as a lecturer. Posterity will recognize that John Bowlby’s contributions to psychiatric knowledge, and to the care of children, mark him as one of the three or four most important psychiatrists of the 20th century. He married Ursula Longstaff in 1938. They had two daughters and two sons. He was a committed family man, fond of outdoor pursuits including walking, shooting and natural history. Most holidays were spent on the Isle of Skye, and it was there that he died. John Bowlby's Charles Darwin: A New Life offers us a tantalizing glimpse of such an alternative and potentially revolutionary biographical approach, and it does so in two fundamental ways. Bowlby, who died in 1990 after this biography was completed, was a distinguished British psychologist. His theory of human development, based on the "attachments" that people form in early life, particularly to parents, was inspired by Lorenz's work on imprinting in ethnology, and involved an explicit repudiation of Freud's theory of psycho-sexual development Bowlby rejected Freud's theories because of their fundamentally non-Darwinian tendencies. Although he was originally trained as a psychoanalyst in the 1930s, Bowlby recognized early in his career that much of psycho-analysis was based on outmoded nineteenth-century biological assumptions, such as the inheritance of acquired characteristics (Lamarckian theory) and the biogenetic law (the notion that the child is destined to recapitulate the adult stages and experiences of our ancestors). As Stephen Jay Gould has shown in Ontogeny and Phylogeny, Lamarck's faulty theory of inheritance was a necessary mechanism for the functioning of the biogenetic law, allowing it to compress (through a sort of inherited practice) all of the ancestors' adult stages into the much briefer recapitulation of ontogeny. In Bowlby's monumental life's achievement, his three-volume series Attachment and Loss, he concentrated upon the urgent need to "recast psychoanalysis in terms of modern evolutionary theory" or have it otherwise remain "permanently beyond the fringe of the scientific world." In place of what he termed the "jungle of psychoanalysis," he spent his life attempting to construct a theory of human development that was wholly consistent with Darwinian theory. From a Darwinian perspective, Bowlby argued, the behavior of children who become attached to their parents and others could be seen as eminently normal and adaptive, and primary, rather than as neurotic or "dependent," and secondarily motivated by other instinctual considerations such as feeding at the breast. In taking this theoretical step, he turned psychoanalytic theory on its head and demoted the libidinal theory of psychosexual development to the trash bin of failed scientific theories. 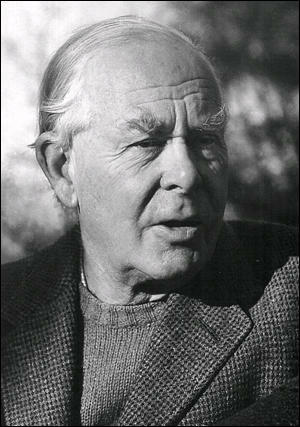 In rejecting much of psychoanalytic theory, John Bowlby became a Darwinian in a second and equally important way. In place of the speculative inferences drawn from analysis of adult memories, he substituted direct observation of children. In his work on the various psychological disorders deriving from disturbed attachment relationships, he also introduced controlled epidemiological methods, which involved statistical comparisons of thousands of people who did, or did not, lose parents at an early age. Although Bowlby's novel techniques were severely criticized by many psychoanalysts, including Anna Freud, his research findings - unlike those of psychoanalysis - have become widely accepted by academic psychologists and have spawned an entire sub-discipline within current developmental psychology. Nothing could be more fitting, then, that John Bowlby should have turned his attention in the last decade of his life to a biography of Charles Darwin, the scientist whom he revered above all others. The choice of subject was not dictated merely by admiration. Thirty years before, Bowlby had become interested in Darwin's life after learning from his Autobiography that he had lost his mother at the age of eight and that he had subsequently developed a lifelong affliction of seemingly psychosomatic origins. Intrigued, Bowlby began to investigate the subject, and for nearly three decades he followed the developing literature on the nature of Darwin's puzzling illness. The more he studied the subject, the more he concluded that Darwin's life and scientific work were closely interwoven with his illness, and so he was drawn into a full-fledged biography of the man, albeit "a biography with a special slant and inevitable limitations." In spite of Bowlby's own caveat about the limitations of his new book, the result is a remarkably sensitive and revealing portrait of Darwin by a self-trained admirer who come to know more about the man than many Darwin scholars do. Some of these scholars will perhaps not find this biography of particular value, but that may well reflect their professional myopia. As Roy Porter has commented about the profession of the history of science: "Academic history of science has increasingly, in the name of scientific and professional standards, disparaged the personal focus. Its goals have become to study problems not people, issues not individuals, ideologies not inspiration." Darwin scholars, then, have tended to find little place for Darwin as a human being in their accounts of his life. He has remained a kind of mild-mannered thinking machine, a superman of science. Bowlby's Darwin helps to redress this imbalance and is perhaps an ideal introduction to Darwin's life and work for the non specialist. Moreover, even though as a Darwin scholar I was familiar with most of the manuscript sources used by Bowlby, I found myself appreciating them in a new setting. It was like having stumbled upon previously isolated phrases from a musical score, only to suddenly see them combined by a Mozart into a harmonious whole.